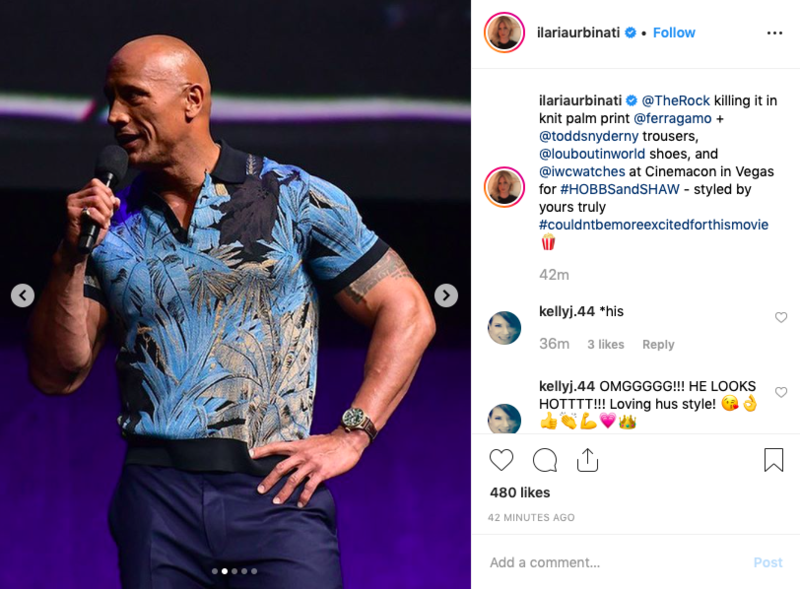 Yesterday, Dwayne Johnson touched down in Las Vegas to showcase his new buddy action flick Hobbs & Shaw at CinemaCon, an industry event. But while I’m sure there were explosions aplenty, what really grabbed our attention was something else entirely. What The Rock was wearing. That Ferragamo knit with a palm print is in-credible. 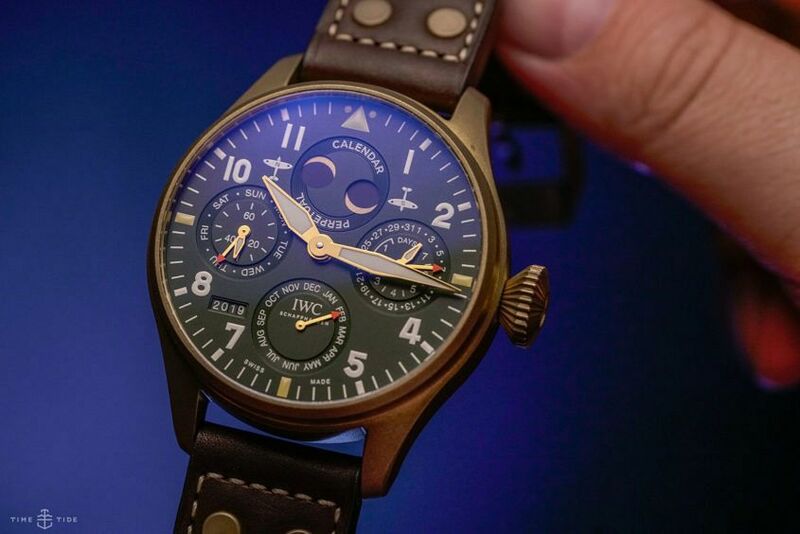 Also, the dude is wearing the brand new IWC Big Pilot’s Watch Perpetual Calendar Spitfire — which is, let’s be clear, a 46.2mm watch that certainly earns the ‘Big’ moniker — like it’s a dainty 36mm. Nuts. This particular Big Pilot was released at SIHH earlier this year, and is one of the crown (complicated) jewels in the revamped Spitfire collection — with a bronze case, green dial and a lot of complication.